Unite For Sight’s Global Impact Corps is a high-impact immersive global health experience for students and for professionals. Unite For Sight is the world’s leader in socially responsible, effective volunteering abroad. Unite For Sight prides itself on offering the best global health experience for our Global Impact Fellows, coupled with the highest quality of healthcare delivery programs with our partners. What do Global Impact Fellows do? Global Impact Fellows support and learn from the partner clinics’ talented medical professionals who are social entrepreneurs addressing complex global health issues. Through hands-on, structured training, Global Impact Fellows gain a comprehensive understanding about best practices in global health and social entrepreneurship. Global Impact Fellows gain skills and are nurtured to become new leaders in global health, and they receive a Certificate in Global Health & Program Delivery. Global Impact Fellows come from very diverse backgrounds, including those interested in public health, medicine, international development, social entrepreneurship, and the social sciences. Global Impact Fellows participate daily with local doctors to eliminate patient barriers to care and to facilitate comprehensive year-round eye care for patients living in extreme poverty. They assist with patient education, visual acuity screening, patient intake, distributing the glasses and medication prescribed by the local eye doctors, and other important support tasks. They also have the opportunity to observe the surgeries provided by the local doctors. Additionally, Global Impact Fellows may participate in the Global Impact Lab, an optional program for those interested in pursuing global health research. For example, current Global Impact Fellows are pursuing research studies about medication management, the use of visual resources for patient education, traditional medicine practices, and patient barriers to care. What do Global Impact Fellows say? The highly competitive Clean Air-Cool Planet Climate Fellowship program pairs outstanding students with challenging real-world opportunities to propel society toward a low-carbon future. Highly qualified graduate and undergraduate students in fields ranging from the humanities to environmental policy or economics to statistics, engineering, physical or biological sciences complete important, challenging, and in-depth projects. Applications will be accepted from December 18th until midnight on January 31st, 2010. Placements run for ten weeks, between May and August, 2010, and include a $5000 stipend. CA-CP gratefully acknowledges the crucial initial support of the Roy A. Hunt Foundation in establishing our Climate Fellowship program. This year’s (2010) placements are made possible partly through the generosity of David Hills, the Otto Haas fund and the Cove Fund. Please read the descriptions and locations carefully. You may apply for one placement only, so choose the one that best matches your experience, qualifications and interests. Do you want to be a teacher once you graduate? American Jewish Committee’s Goldman Fellowship Program is designed to develop future leaders in the areas of international and domestic politics, diplomacy, public relations, and management. This competitive Fellowship gives students the unique opportunity to work in offices domestically and throughout the world – from New York City to Melbourne, Australia. Fellows work closely with supervisors in a mentor relationship with senior AJC personnel to learn about strategy, advocacy, and the development and implementation of programming. Fellows may also spend part of their time developing an independent project with the AJC office to which they are assigned. Applications are now being accepted for the Coro Fellows Program in Public Affairs. If you are interested, apply by January 22, 2010 via MOJO. The Coro Fellows Program in Public Affairs is an intensive nine-month, full-time, graduate-level leadership training program that provides diverse and driven individuals committed to leading in New York City with the tools, experiences, and networks they need to become effective agents of change. The program’s unique experience-based and inquiry-driven methodology immerses participants in the various sectors—public, campaign, non-profit, private, labor— that shape New York City public policy. The program is comprised of field placements, interviews with the City’s most influential figures, and intensive training seminars. Each year, after a rigorous national selection process, 12 Fellows are selected to participate at Coro New York; another 56 Fellows are chosen annually to participate in one of our four other center locations: Los Angeles, Pittsburgh, San Francisco or St. Louis. For more information to apply, see the posting on MOJO. Do you have an interest in Environmental Studies? Under the National Network for Environmental Management Studies (NNEMS) program, a range of fellowship activities are offered to help students increase their knowledge of environmental issues while refining their professional skills. Each year, the NNEMS program offers approximately 30-40 fellowships, developed and sponsored by EPA Headquarters in Washington, D.C. and in EPA’s 10 regional offices and laboratories throughout the United States. The projects are specifically narrow in scope, allowing students to complete the fellowship while working full-time at EPA during the summer or part-time during the school year. Typically, the research is conducted at an EPA office or laboratory, although other arrangements can be made in certain circumstances. Detailed descriptions of the fellowships are provided in the annual NNEMS Catalog. The catalog is available online at www.epa.gov/education/students.html. Interested in addressing global issues by engaging in today’s critical need for more effective language proficiency? Middlebury College is pleased to announce The Kathryn Davis Fellowships for Peace: Investing in the Study of Critical Languages. Please join representatives from the Language Schools and Student Financial Services to learn about the summer language programs and the Kathryn Davis Fellowships for Peace. The information session will take place on Wednesday November 11 at 3:00 PM in MBH 216. For the fourth year in a row, 100 Davis Fellowships are offered to cover the full cost of summer language study from beginning to graduate levels in Arabic, Chinese, Hebrew, Japanese, Portuguese, and Russian at the Middlebury summer Language Schools. Are you still looking for something to do after graduation? If you hold any interest in Women and Public Policy, the Mariam K. Chamberlain Fellowship may be for you. The Mariam K. Chamberlain Fellow works as a general research assistant on a variety of research projects and reports. Research tasks may include reviewing literature; collecting, checking and analyzing data; gathering information; and preparing reports and report graphics. Attending relevant Congressional briefings, policy seminars and meetings is also an integral part of the fellowship program. Applicants should have at least a bachelor’s degree in a social science discipline, statistics, or women’s studies. Graduate work is not required. Applicants should have strong quantitative and library research skills and knowledge of women’s issues; familiarity with Microsoft Word and Excel is required. Knowledge of STATA, SPSS, SAS, and graphics software a plus. Qualitative research skills also a plus. Are you interested in fighting hunger? If so, come learn what one of our peers has already accomplished. Corinne Almquist (Middlebury ’09) will be giving a talk entitled “Fresh Food For All: A Vermont Gleaner’s Experience” on November 10 at 6:30 PM in Hillcrest 103 (the Orchard). Almquist is a Compton Mentor Fellow who has used her fellowship to provide fresh food for the poor through a process known as gleaning. She has been so successful that, just this week, she was featured in The Christian Science Monitor, in an article called, “The need to feed hungry families cultivates new interest in gleaning.” It was an amazingly favorable article, comparing Almquist to Ruth from the Bible, in her endeavors to feed the poor. If you are interested in learning more, see the video, read the article, read her statement on the Middlebury website, or come hear her speak on November 10. Do you have any interest in Social Justice through Healthcare Advocacy? If so, you might be interested in the Villers Fellowship for Health Care Justice and the Wellstone Fellowship for Social Justice. Both fellowships are year-long, full-time, salaried positions at Families USA‘s office in Washington, DC. Each year, one candidate will be selected for each fellowship. Selected fellows will receive a compensatory package that includes an annual salary of $38,000 and excellent health care benefits. Imagine H2O Prize– The Imagine H2O Prize is a new business plan competition that focuses on solutions to water issues. The 2009 – 2010 competition will focus on water efficiency in agriculture, commercial, industrial or residential applications, such as water demand reduction, improved water use, water recycling and/or reuse. The total prizes that will be awarded in this year’s competition will be $70,000, including cash awards and in-kind services including legal, tax, and accounting services. In addition, winners will receive in-depth business incubation including mentorship, introductions to financiers, potential beta customers, and go-to-market partners. Additional information on the 2009 – 2010 competition can be found here. 2010 Echoing Green Fellowship– Echoing Green provides seed funding for social entreprenuers to launch new organizations. Thusfar, Echoing Green has invested more than $28 million in seed funding to more than 471 social entrepreneurs and their organizations. You can learn more about applying for an Echoing Green Fellowship here. Match Corps is Looking for Rockstar Math Teachers! MATCH Corps is an urban education service year at the MATCH Charter Public Schools in Boston, MA. It is a highly selective post-grad fellowship year which pairs Corps members with 5 or 6 individual students in the MATCH High or Middle School, both award winning public schools. The Corps live together, and tutor their handful of students every day 2-on-1 in their classroom subjects, as well as TA-ing classes, coaching sports, and running extracurriculars. Corps members also have the option to do a free teacher certification program during their Corps year, hence why they’re looking for Middlebury students with strong quantitative backgrounds who want to spend a few years as inner-city math teachers. Not normal ones. Unbelievably effective, “no excuses” teachers. To that end, they’re hoping our students will be interested in doing MATCH Corps and the teacher training option on the way to becoming rockstar math teachers. Apply directly. Each year 20 participants are selected for this eleven-month program. Fellows are placed for half their term of service with urban and rural community-based organizations all over the country involved in fighting hunger at the local level, such as grass roots organizing groups, food banks, economic development agencies, local advocacy groups and faith-based organizations. They then move to Washington, DC to complete the year with national organizations involved in the anti-hunger and poverty movement, including national advocacy organizations, think tanks, and federal agencies. 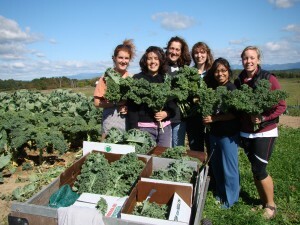 Through this unique program, the Bill Emerson National Hunger Fellows Program develops effective leaders with a deep understanding of hunger and poverty at both the local and national level that enables them to find innovative solutions and create the political will to end hunger. Are you graduating this year and interested in global health? If so check out the opportunity below! Next Available Opening Begins June 2010. Applications Now Being Accepted. The Young Leader of Social Change Fellowship provides an outstanding recent college or public health graduate with an opportunity to engage in high impact front-line global health programs. You will work from our New Haven office that overlooks the Yale campus. In this full-time paid position, the Fellow will work closely with Unite For Sight’s CEO on global health programming. Monday, October 19, 2009 from 4:00 PM to 7:00 PM in the Rotunda of Low Library, at Columbia University‘s Morningside campus (116th and Broadway), Columbia University will be hosting an Environmental and Sustainable Development Education Programs Open House. The open house will feature numerous graduate level programs.